Billed variously as 'The Queen Of Jazz' & 'The Last Of The Red Hot Mamas'. 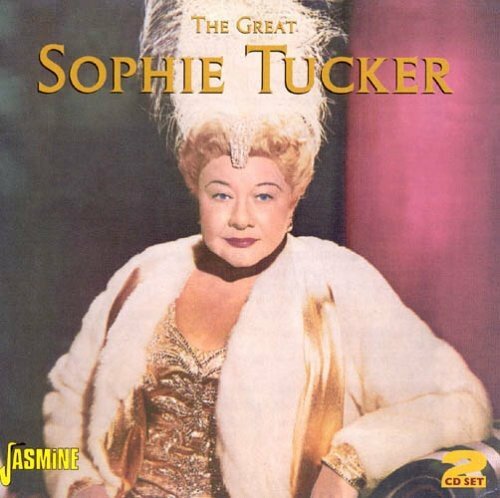 She was the larger than life Sophie Tucker. By popular demand, Jasmine are happy to release a stunning collection of 52 classic tracks by one of the greatest stars ever to tread the boards on the vaudeville circuit. This set includes a 12 page booklet with informative notes. If you have any questions about this product by Tucker, Sophie, contact us by completing and submitting the form below. If you are looking for a specif part number, please include it with your message.